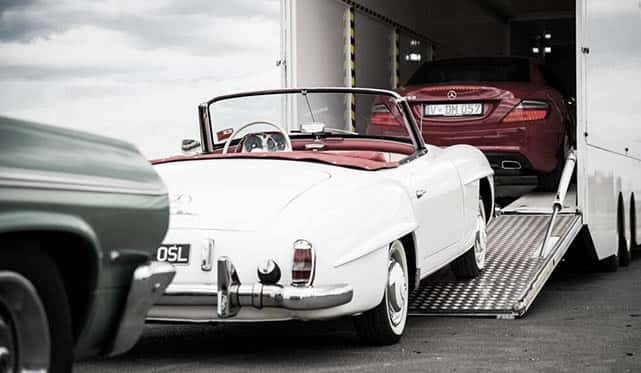 Is Enclosed Auto Transport for You? 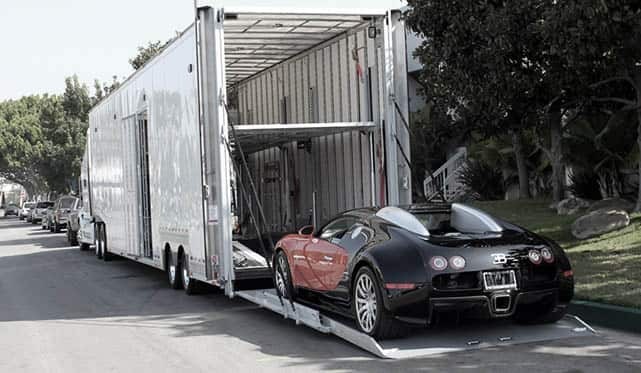 Enclosed car transport is the transportation of vehicles inside a trailer which is fully enclosed. For those who wish to transport high end vehicles, we offer fully enclosed transport. Enclosed auto transport comes with an extra degree in surety and safety. If you want your vehicle to hit nothing else but the air inside the trailer, this is the option for you. Keep in mind that open transport is most often just as safe as enclosed. 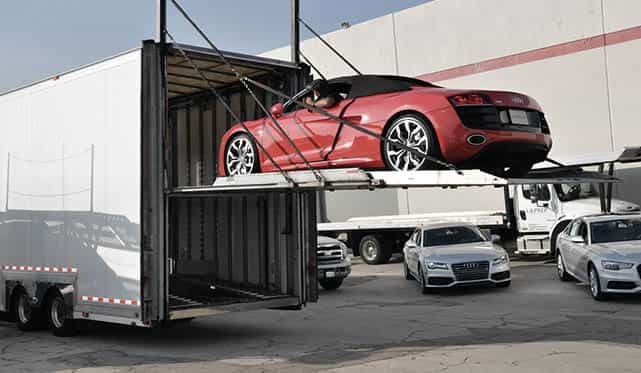 Enclosed auto transport requires a little bit more time as enclosed carriers are more rare then open car carriers. Shipping with an enclosed trailer is usually double the cost that of of an open transport. 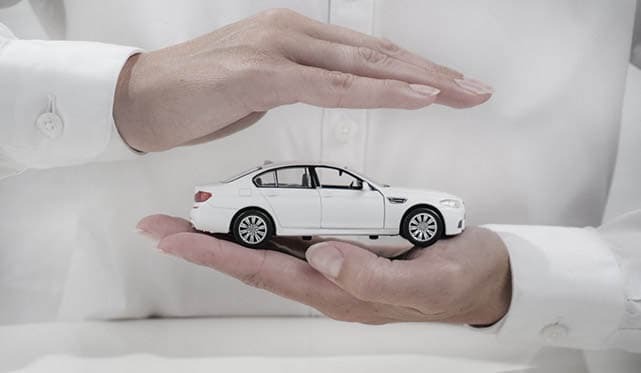 Insurance coverages are higher with enclosed which is why we usually employ our enclosed fleet for high end vehicles such as Super Cars or very Vintage Vehicles which require extra care. The insurance requirements which we have for our enclosed transporters are unmatched. Enclosed car transport ensures protection against weather, road debris and other road related things that can get on your vehicle when using open transport. Enclosed transporters use advanced trailers which have either a soft/hard shield that encloses your vehicle completely. Enclosed car trailers usually carry 3-6 vehicles for normal paced shipping. 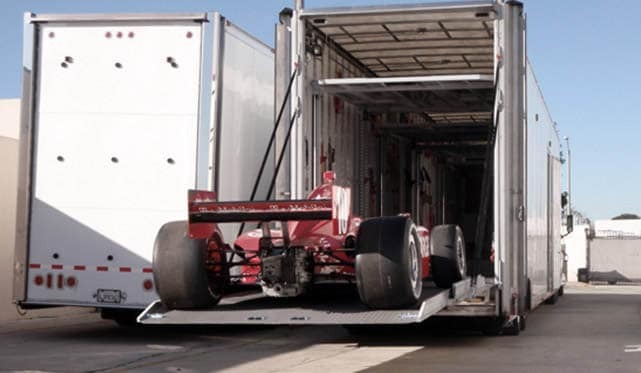 For expedited shipping, we deploy our smaller 1-2 car carrier trailers. For low ground clearance vehicles such as super cars or highly modified vehicles, we use trailers which utilize a hard-side hydraulic lift gate. This is practically a platform which the vehicle drives onto and gets lifted into the air afterwhich the car to be transported proceeds into the trailer. After it has been safely loaded, the driver straps down the vehicle using soft straps. Dealerships sometimes require enclosed transport for exotic vehicles. You do not need to own a high end vehicle to request enclosed vehicle shipping, as it is an option to every customer of ours. We work with some of the most reliable lines of enclosed shippers including trucks of our own which ensures that customers who request enclosed transport receive nothing short of perfection. Get your free car shiping quotes via enclosed trailers! 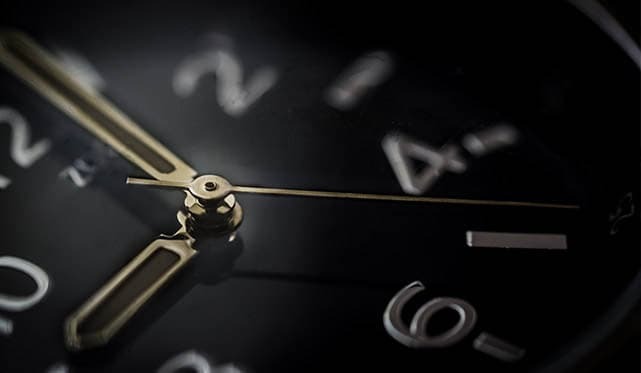 Keeping in mind the increased cost of enclosed shipping, we urge clients to consider open transport in order to save money and time. For people who need their vehicle transported in an enclosed trailer and be 100% protected from road debris and weather, look no further and select TCI for your enclosed vehicle shipping needs. You can contact us by phone or email to get your car shipping quotes. Free!